Although citizen science is hardly a new concept, in recent years, it has experienced a significant rise in popularity with the emergence of millions of “citizen scientists” all over the world. At the same time, the scientific community is beginning to examine the validity of data collected through citizen science programs. Marjorie Bison, a researcher at CREA Mont-Blanc, provides an analysis of the value and use of this data for science. Citizen science has a long history: long before the professionalization of science at the end of the 19th century, scientific research was carried out by unpaid amateurs who were motivated by their own personal interest in scientific questions. Thanks to these passionate amateurs, today, we have access to invaluable historical collections of plant, animal, rock and fossil specimens from all over the world. In addition to these collections of samples and specimens, some of these scientific amateurs also collected photographs and detailed observations of the natural world. 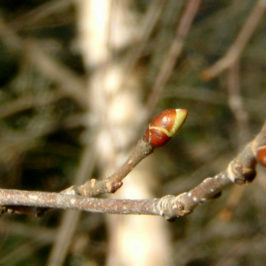 It is part of human nature to observe seasonality and natural cycles, and man has long been observing and recording phenological data. In Burgundy, France, for example, municipal and community archives have been carefully recording the harvest dates of Pinot Noir grapes since 1370. This data has allowed researchers to estimate centuries of annual spring and summer temperatures in the region thanks to the strong relationship between the temperature and the grape harvest. An analysis of this data showed that the summer of 2003 was exceptionally hot, with the region experiencing the highest temperatures since 1370. Between the years 1851 to 1858, famed American writer and philosopher Henry David Thoreau recorded the dates of bird migrations and phenological observations for 43 tree species present in the forest in Concord, Massachusetts. Since then, both scientists and amateurs alike have recognized the value of an uninterrupted record of the area and have continued making and recording observations. This kind of historical record, combined with modern observations, have been incredibly useful in demonstrating that plant phenology responds more quickly to temperature shifts than bird phenology. This variation in sensitivity to change can lead to a de-synchronization between the arrival of migratory birds and the abundance and availability of food resources. Much more recently, Billy Barr, a hermit and naturalist living in the Rocky Mountains made an impressive and unanticipated contribution when he shared 40 years of recorded observations on snow cover and snowmelt periods, snow depths, animal hibernation and spring bird migration. Decades of Barr’s meticulous notes have shaped climate science today. Today, millions of people around the world are engaged in scientific projects. This diverse group of people, from children to enthusiasts to amateur scientists, is all actively participating in the world of research. Some are motivated by concerns about their local environment. For example, the program “Save our Streams” was created in 1969 by a group of volunteers who wanted to protect and restore streams and waterways in the state of Maryland. Their initiative is widely recognized for its important role both in restoring and improving our understanding of America’s waterways. Other citizen scientists collect data for a wide variety of different participative science projects looking to generate big data. eBird (bird watching), Galaxy Zoo (galaxy classification) and Project Budburst (vegetation phenology) are examples of projects that bring together observations from large communities of citizen scientists. 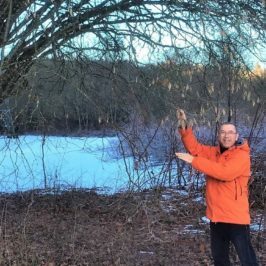 In France, a growing number of programs have been recognized by the National Collective for Biodiversity and Citizen Science (Collectif National Science Participatives Biodiversité). Thanks to the data collected by these groups, scientists and researchers have unprecedented access to databases far more extensive than they would have been able to generate on their own (both in terms of quantity and geographic distribution of data). The constitution of these large databases can play several important roles: the data can allow us to test pre-formed hypotheses, continue long history of observations in specific areas and allow for the generation of new hypotheses which scientists can test out using more precise or in-depth protocols. 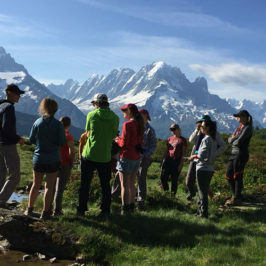 At CREA Mont-Blanc, citizen scientists who participate in the Phenoclim program actively contribute to our research on the effects of climate change on the phenology of vegetation. 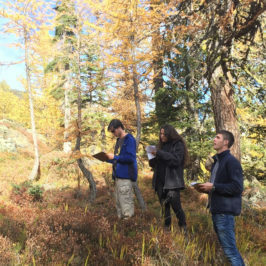 Researchers like Daphné Asse, a PhD candidate at CREA Mont-Blanc, are using their regular observations of the phenological stages of different tree and plant species. 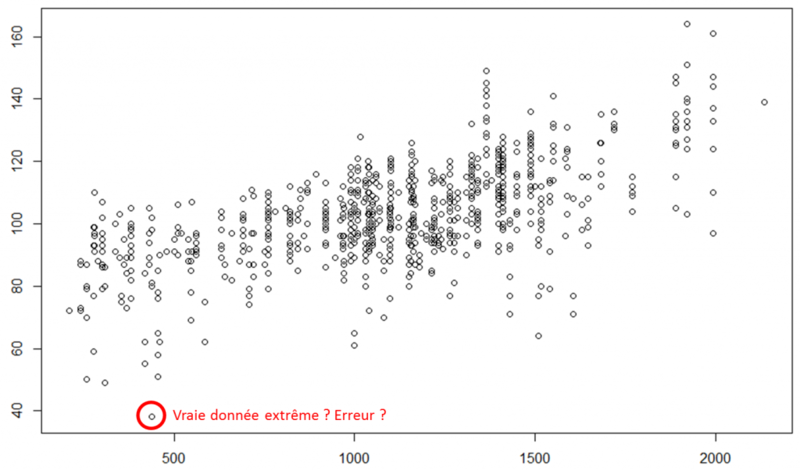 Daphné’s work focuses on understanding and predicting the responses of high elevation forests to climate change. Historical collections of specimens, photos and data have undeniably played an important role in biology, ecology and evolution and conservation today. For example, they have been key in analyzing changes in species abundance and distribution in the face of land use changes, climate changes and other anthropogenic factors. 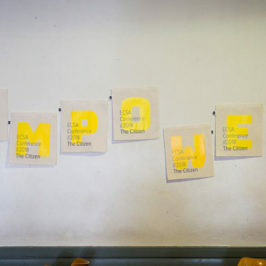 Nonetheless, some problems relating to the analysis and interpretation of results coming from citizen science data have arisen, prompting a variety of questions: How much confidence can we put in data collected through citizen science? Can a piece of data collected by an “amateur” be as reliable as one collected by a professionally trained scientist? Can we use citizen science data to generate solid conclusions that will be accepted in the scientific community? In citizen science, we don’t choose our participants, so they can come from all different backgrounds and have a wide variety of experience and expertise. In the case of Phenoclim, individuals, employees of natural protected areas and elementary schoolchildren all participate in measuring vegetation phonology. Even if every participant is motivated and wants to contribute flawless data, anyone can make an error in their reporting, including professional scientists. 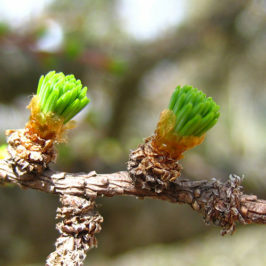 Mistakes that appear in Phenoclim data can have many different origins: a phenological stage observed too early or too late, a mistake in recording data in a notebook or in entering it online, or even mistaking one tree or plant for another. When one of the data points received looks unusual, the first step the CREA Mont-Blanc team takes is to contact the citizen scientist who recorded it. Nonetheless, it is impossible to verify each of our data points. That’s why we are currently looking into different methods that will allow us to efficiently identify extreme data points. 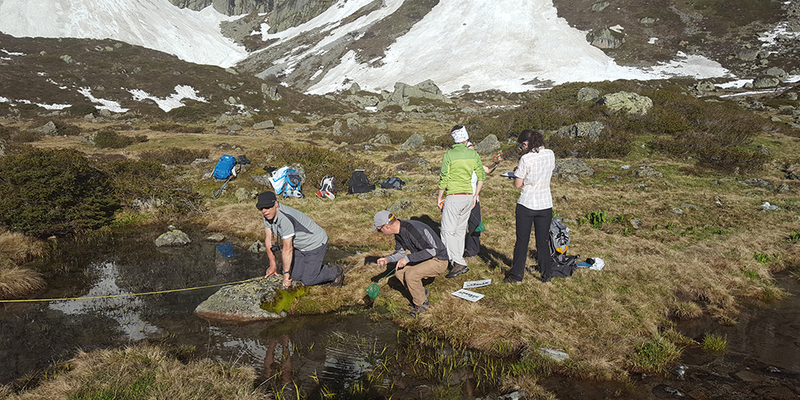 Until now, very few studies have examined the quality of citizen science, which is why the CREA Mont-Blanc team is working to determine the reliability of the data for the Phenoclim program. By increasing our understanding of errors when they occur, we are able to put in place solutions allowing us to identify and anticipate erroneous or surprising data. Because these analyses are still ongoing, we’re not yet ready to share our findings on the quality of the Phenoclim citizen science data. In conclusion, citizen science is currently taking off and creating exciting new opportunities to connect the general public with science. The data collected by citizen science programs can be incredibly rich and have already contributed to the publication of many scientific articles. Thanks to the engagement of citizens in scientific research, new questions and visions of science are on the rise, allowing for the creation of a new kind of science education.